In the latter part of the nineteenth century, as technological progress enabled the exploration of hitherto neglected territory, the powers of Western Europe embarked on a process of imperial expansion into the African continent. As a journalist for The Times, geographer John Scott Keltie (1840-1927) wrote articles on the 'scramble' at the time, and in 1893 published this authoritative text on the subject, here reissued in its revised and augmented second edition of 1895. Keltie's presentation of the topic was well received and remained of lasting relevance, being described in his obituary as 'the best text-book of that exploration and division of a forgotten continent'. 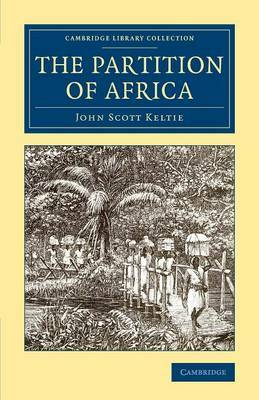 Early chapters address certain aspects of African history, but the bulk of the book deals with European attempts at settlement, partition and commercial exploitation. The future of Africa, as a site of ongoing European contention and competition, is also considered.